December 5 is the 339th day of the year(340th in leap years) in the Gregorian calendar.There are 26 days remaining until the end of the year. 1484 – Pope Innocent VIII issues the Summis desiderantes affectibus , a papal bull that deputizes Heinrich Kramer and Jacob Sprenger as inquisitors to root out alleged witchcraft in Germany. Year 852 (DCCCLII) was a leap year starting on Friday of the Julian calendar. 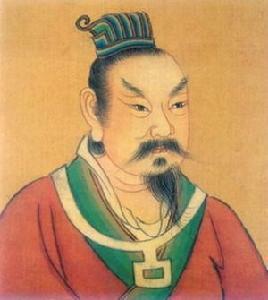 Emperor Taizu of Later Liang (後梁太祖), personal name Zhu Quanzhong (朱全忠) (852–912), né Zhu Wen (朱溫), name later changed to Zhu Huang (朱晃), nickname Zhu San, was a Jiedushi and warlord who in 907 overthrew the Tang dynasty and established the Later Liang as its emperor, ushering in the era of the Five Dynasties and Ten Kingdoms. The last two Tang emperors, Emperor Zhaozong of Tang and Emperor Ai of Tang, who "ruled" as his puppets from 903 to 907, were both murdered by him. Publius Cornelius Lentulus, nicknamed Sura, was one of the chief figures in the Catilinarian conspiracy and also a stepfather of Mark Antony. Year 334 (CCCXXXIV) was a common year starting on Tuesday of the Julian calendar. At the time, it was known as the Year of the Consulship of Optatus and Caesonius. The denomination 334 for this year has been used since the early medieval period, when the Anno Domini calendar era became the prevalent method in Europe for naming years. Li Ban (李班) (288–334), courtesy name Shiwen (世文), posthumous name initially Crown Prince Li (戾太子), later Emperor Ai of Cheng (Han), was briefly an emperor of the Chinese/Ba-Di state Cheng Han. Dalmatius of Pavia is venerated as a saint by the Roman Catholic Church. It is possible that Dalmatius was simply a local preacher of northern Italy, but the century in which he lived or the manner in which he died is unknown. Saint Gerbold was a French bishop venerated as a saint by the Catholic Church. He was a monk who founded the abbey of Livry in Normandy and later became bishop of Bayeux. Saint Justinian was a 6th-century hermit who lived on Ramsey Island, near St. David's, in the Welsh county of Pembrokeshire. Saint Abercius is a martyr of the Christian church. The story of his martyrdom has been lost. His feast day is December 5. He is referenced in the Menaea Graeca and the Menologium der Orthodox-Katholischen Kirche des Morgenlandes. Titus Flavius Clemens, also known as Clement of Alexandria, was a Christian theologian who taught at the Catechetical School of Alexandria. A convert to Christianity, he was an educated man who was familiar with classical Greek philosophy and literature. As his three major works demonstrate, Clement was influenced by Hellenistic philosophy to a greater extent than any other Christian thinker of his time, and in particular by Plato and the Stoics. His secret works, which exist only in fragments, suggest that he was also familiar with pre-Christian Jewish esotericism and Gnosticism. In one of his works he argued that Greek philosophy had its origin among non-Greeks, claiming that both Plato and Pythagoras were taught by Egyptian scholars. Among his pupils were Origen and Alexander of Jerusalem. Saint Crispina was a martyr of Africa who suffered during the Diocletian persecution. She was born at Thagara in North Africa. She died by beheading at Theveste, in Numidia. ↑ "Prof Adetoun Ogunsheye, Nigeria's first female professor, turns 90". Tribune Online. November 29, 2016. Retrieved May 8, 2018. Wikimedia Commons has media related to December 5 .